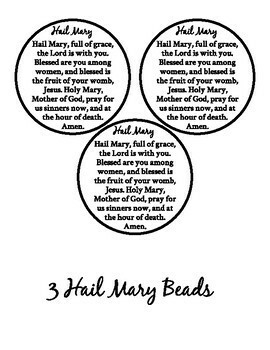 This is a great way to teach your students how to pray the Rosary. There are so many different ways to use this resource. 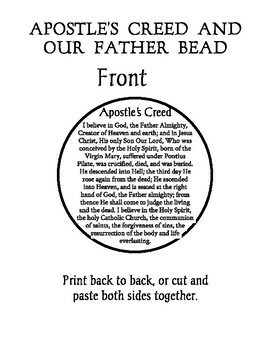 Each bead has the full prayer written out, so it's great for students who can't or haven't yet memorized their prayers. I recommend laminating and using dollar store shower rings to connect. Full color and black and white are provided. Give each student a bead to color, and draw a picture on the back. 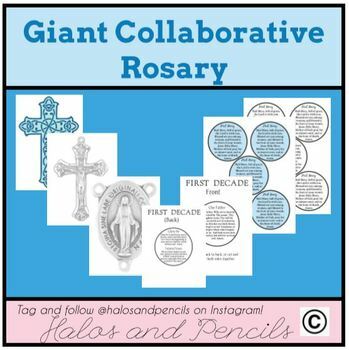 When the Rosary is assembled, they will feel like they are a part of it! Make just a decade if it's easier to manage. 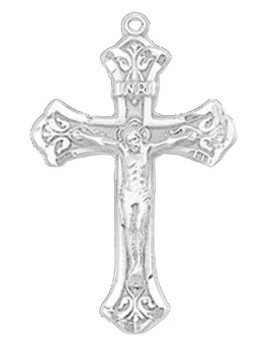 Great for May Crowning- process in with your special class Rosary! Hold a class Rosary night or afternoon and invite parents to come. Use the giant Rosary and light LED candles.